Add Tire(s), Make it a Mounted Tire/Wheel Kit? 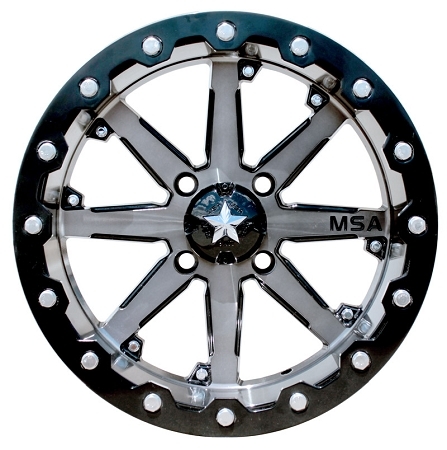 - In most cases our MSA ATV wheels ship out same day! - MSA ATV wheels are sold individually. - Rated at 1000 lbs. 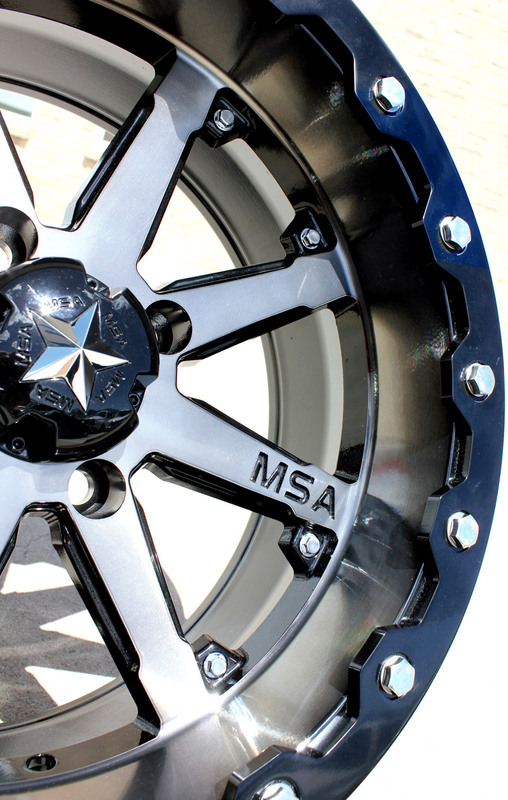 - The M21 Lok Beadlock ATV & UTV Wheels are available in a gunmetal black finish only. 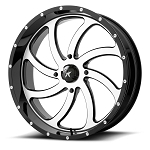 - Many optional tires available as a mounted tire/wheel kit with these rims! - Dark tinted clear-coat that is overlaid on top of the micro-machined wheel face. - The unique Lok wheel design sheds weight, dirt, mud and debri fast making clean up quick and easy. - Black beadlock ring included with each wheel. 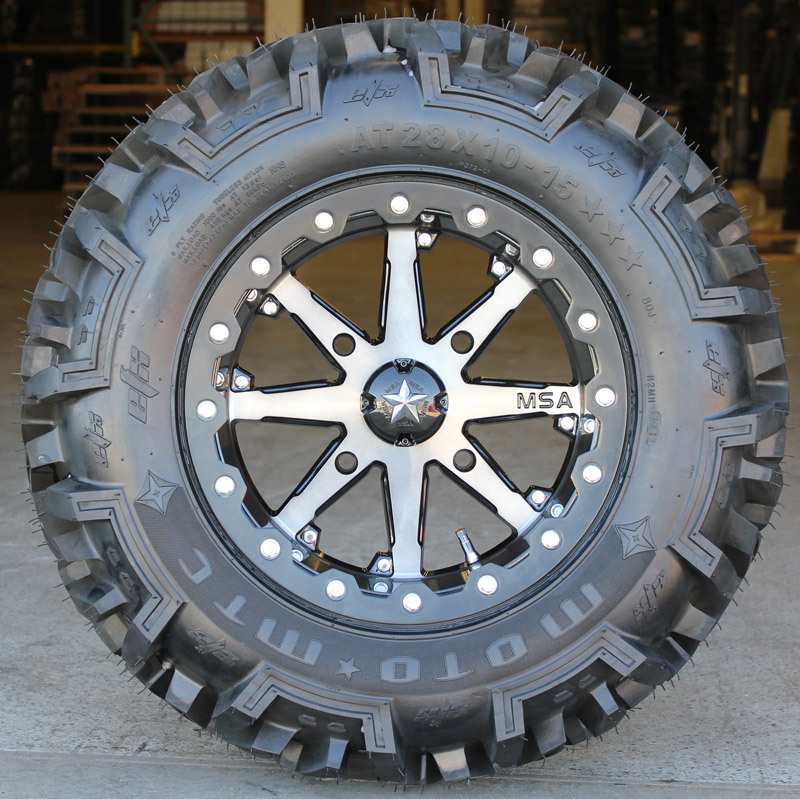 - All Motosport Alloy ATV Wheels come with a lifetime structural warranty. Q: Can yall do this rim in either white or red? A: Are you talking about the rings or the rim itself? Q: Do u make the bead lock in red? A: Are you looking for the whole rim in red or just the ring? 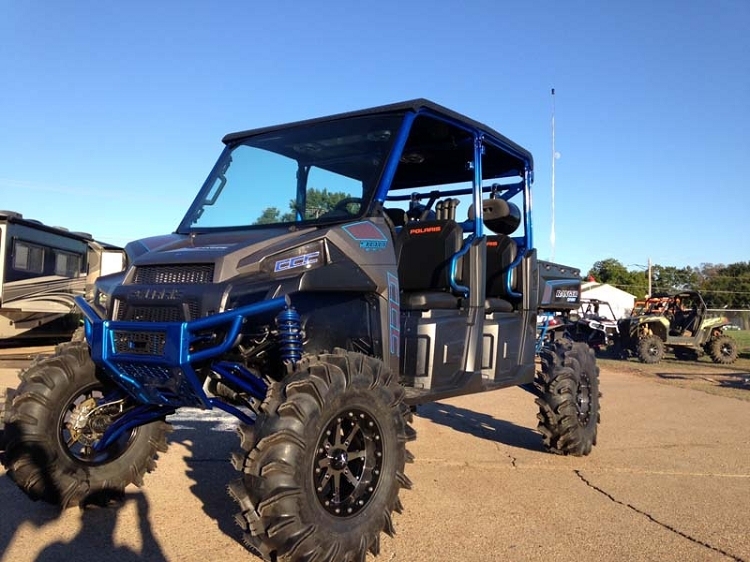 Q: do you have 15 x 8 beadlock wheels for Polaris general? A: Hi, We only offer 15x7 beadlocks at this time. We don't have any 15x8.